What is arguably America's least-well-placed nuclear power plant is leaking radiation into the sea. 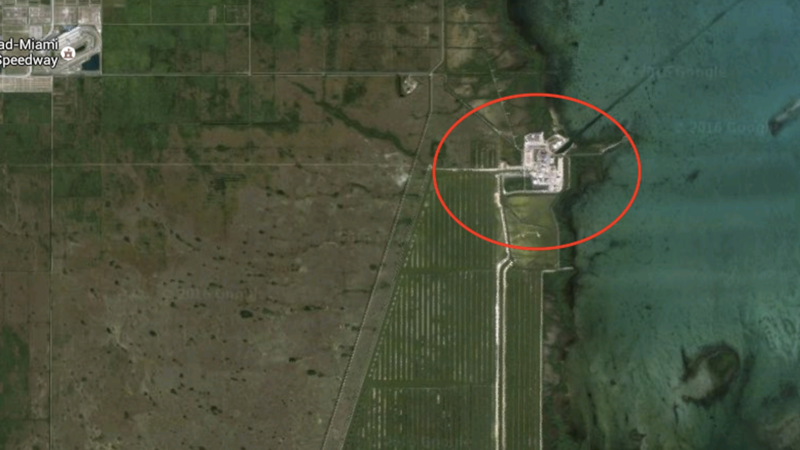 The University of Miami has found that the Turkey Point Nuclear Power Plant, located just south of Miami, has caused levels of tritium, a radioactive isotope, in Biscayne Bay to spike to 200-times higher than normal levels. "This is one of several things we were very worried about," South Miami Mayor Philip Stoddard, who is also a biological sciences professor at Florida International University, told the Miami New Times. "You would have to work hard to find a worse place to put a nuclear plant, right between two national parks and subject to hurricanes and storm surge." Turkey Point came online in the early 1970s; it supplies power to more than one million homes in South Florida. The new study blames the leaks on the reactor's cooling canals, which were recently found to have caused a massive underground saltwater plume to migrate west, threatening a wellfield that supplies drinking water to the Florida Keys. Critics alleged the canals began running too hot and salty after Florida Power and Light (FPL), which operates the plant, overhauled two reactors to produce more power, the Miami Herald reports. A judge already recently found that FPL had failed to prevent hundreds of thousands of gallons of wastewater from seeping into the bay. Mayor Stoddard argues the new study might point to violations of the federal Clean Water Act, and says only two solutions are viable: Building new cooling towers to replace the canals or shutting down the plant, the New Times reports. "There's a certain validation to critics in seeing this result in the study," he says, "but more importantly, it's now crossed the threshold of federal law here." Turkey Point is not the sole leaky plant in America. Last month, New York Gov. Andrew Cuomo acknowledged that the state's Indian Point Nuclear facility was leaking tritium into groundwater. Meanwhile, The Vermont Department of Health has noted ongoing investigations into leaks at Vermont Yankee since 2010, while New York’s FitzPatrick Plant has been “plagued by water leaks” in 2014, Gizmodo notes. FPL is not responding to requests for comment.